Hawai‘i Island By Air, Land & Sea: 3 Nights, 2 people Take to Hawai‘i by air, land, and sea—after all, it is a BIG island. To make the most of your visit, we’ve assembled a selection of activities that’ll offer you unique perspectives of this beautiful and varied landscape. Tour the rugged coastal waterfalls of the Kohala coastline by helicopter, set to sea on a half day sport fishing charter in Kona, and explore the misty slopes to plant a legacy koa tree with Hawaiian Legacy Hardwoods. 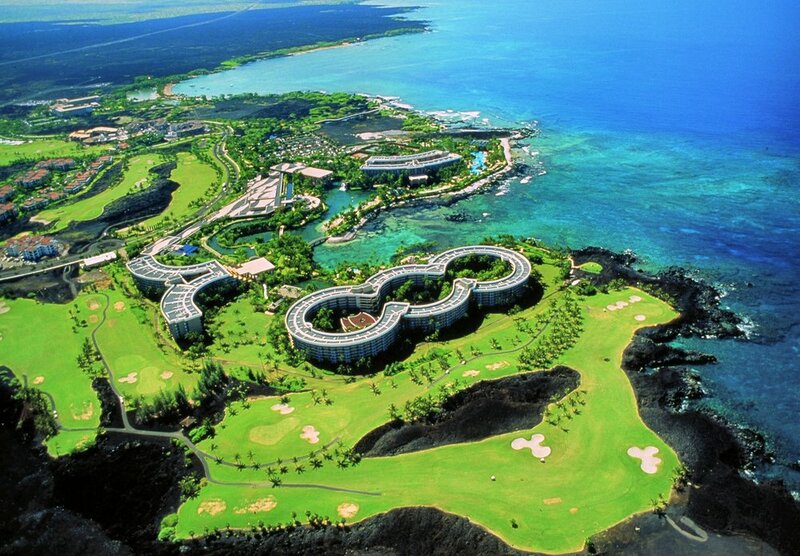 In bustling out on all these excursions, Hilton Waikoloa, located along the beautiful Kohala Coast, serves as home base. Be sure to schedule some relaxation and beach during your luxurious three night stay. Since you’ll be working up quite an appetite, enjoy dinners at Macaroni Grill and Roy’s Waikoloa Bar & Grill. Donors: Hilton Waikoloa Village, Blue Hawaiian Helicopters, Night Runner Sport fishing, Hawaiian Legacy Hardwoods, Macaroni Grill, Roy’s Waikoloa Bar & Grill.